The week on THE X FACTOR USA we are down to the Final 4 artists, the competition is really heating up and we are in the Semi-finals. On tonight’s shows finalists will have not one, but two, songs to perform in front of our judges, Simon Cowell, Demi Lovato, Britney Spears and LA Reid. On last week’s show the Top 6 performed 2 songs. One song that, the fans, chose for their Pepsi Challenge performance as well as an unplugged song. Did you watch the show? We did and we recapped it here for you. On tonight’s semifinal show the Top Four acts who are battling it out are: Tate Stevens (mentored by L.A. Reid), Carly Rose Sonenclar (mentored by Britney Spears), Emblem3 and Fifth Harmony (both groups mentored by Simon Cowell). This week’s Semi-Finals round will feature the acts singing songs that will hopefully get them to the big day with one song chosen by the act and the other song chosen by their mentor. It’s the make it or break it week. Stay tuned to Celeb Dirty Laundry for a full live recap of tonight’s episode. 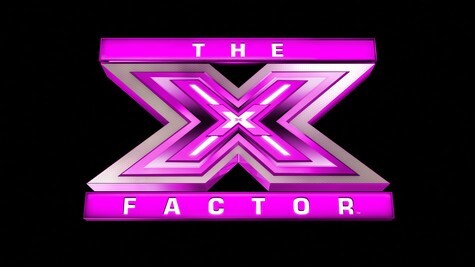 We will keep you up to date on all X-Factor news, reviews and spoilers and make sure to check back here regularly for more information on your favorite television shows! So don’t forget to come back to this spot at 8:00 PM for our live recap of The X Factor USA to see the Top 6 perform not one, but two songs – recap at 8:00 PM EST! Tonight the final four are fighting for a spot in the finals. Each contestant will sing twice. They’ll choose a song that means something to them and the second song will be geared to win votes. Tate Stevens is up first to sing the song that he chose and it’s called Bonfire. He wants people to understand what he has back home which is family, good friends and fun times together. He performed this his way and Britney doesn’t think it was his best. Demi has to disagree and says it was freaking’ amazing. Simon thinks he brought the song that he wanted to record and it was important to do that. Simon thinks that Tate looks like a man that can win this. Carly Rose Sonenclar choose Elton John’s Your Song because she says it gave her the love for music that she has. LA tells her that she picked a risky song and somehow she did unique things with it. Demi tells her she’s predictable but even still, she thinks this was her favorite song by Carly yet. Simon tells her he thinks it was a beautiful rendition of a great song, but she can do better. I’m not sure how Emblem 3 got this far but I can tell you I’m not a fan of Baby I Love Your Way so they are going to have to be amazing to impress me. The little girls love them and LA seems to think that this was a 5 million dollar moment. Britney thinks it’s unfair to call them a boy band because they are so much more. Demi loved them because they finally sand and moved! Fifth Harmony are up last and they really have something to prove because up until now they’ve appeared like a bunch of girls who happen to be onstage together. LA thinks this was their best vocal performance as of yet. Britney loved it and thought they inspired girl power. Demi thinks they pulled out the sparkle they really need. Beginning round two is Tate Stevens. He’ll be performing Fall by Clay Walker. He’s dedicating it to his wife who has been his rock. Britney thinks this song is a direct hit. Demi thinks he is a talented great guy. Simon tells Tate that he is as likely to leave the competition as Simon is to fly to the moon. He’ll be in the finals. Carly Rose Sonenclar is singing Imagine by John Lennon. I’m not sure about this. Two super draggy songs back to back for Carly might be a bit too much. As it is it’s either a love it or hate it kind of song nk she has won people over with this rendition that also featured her playing the piano. LA says it’s a difficult song but as usual she finds the right spot to really sing it. Demi thought it was fabulous but Simon thought it had too much going on. Emblem 3 sure do believe in their ability to win this things. They really do trust each other and it has not really occurred to them that they could fail. Singing a Beatles song is a bit risky and I hate that Simon (their mentor) keeps pulling their music from a typical boy band pool. Everyone says that they are really good but I think there is a weak link here that pulls them down every week. LA tells them they are teen heartthrobs like the Beatles. Britney says it was an A level performance. Demi thinks they are filled with potential. Finally, the last performance of the evening. Fifth Harmony is about to attempt the thing that doesn’t come naturally- harmonizing. They are going back to where they started and performing Impossible again. LA thinks it wasn’t good enough. Britney thought it was too stiff and she’ll be surprised if they make it another week. Demi is also worried for them. They added Spanish lyrics and I think it was a bit too much. Who will be sent home tomorrow? Tell us your thoughts in the comments below!